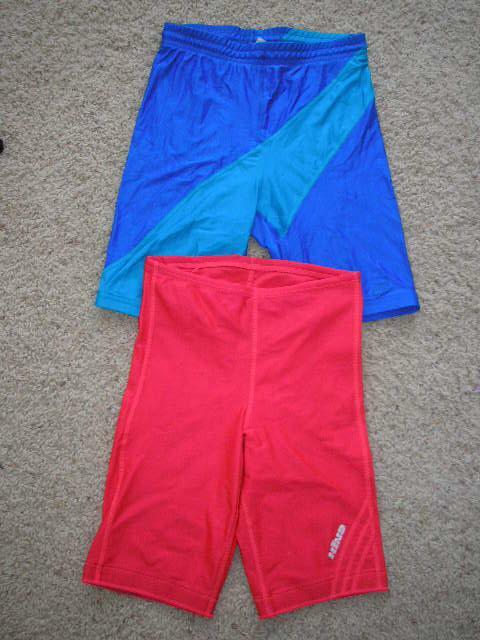 These Red Hind shorts are a part of a lot of 2 pairs of shorts I won at an eBay auction in 2007. Seller was greatclothesfinds, and it was given this description at the auction: This auction is for 2 Mens workout tight shorts size Medium. The Hind are new without tags and the Nike are in good used condition. Both are a Nylon/Lycra Spandex blend. You will receive: Hind Red, Nike Blue, Red and Turquoise.